Inhabit a world where you define the rules. Cities: Skylines invites you to create the city of your dreams in a sprawling landscape dominated by cloud hugging structures and jaw dropping architectural marvels. 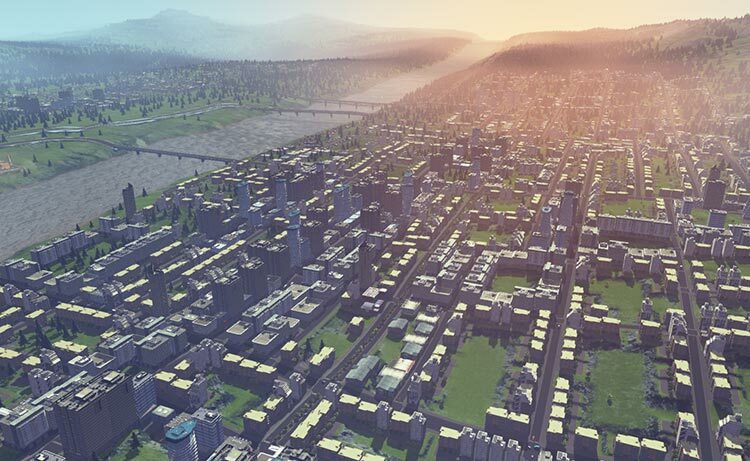 Cities: Skylines offers sprawling landscapes and maps with endless sandbox gameplay and new ways to expand your city. Key to progression is the ability to influence your city’s policy by incorporating taxation into districts. 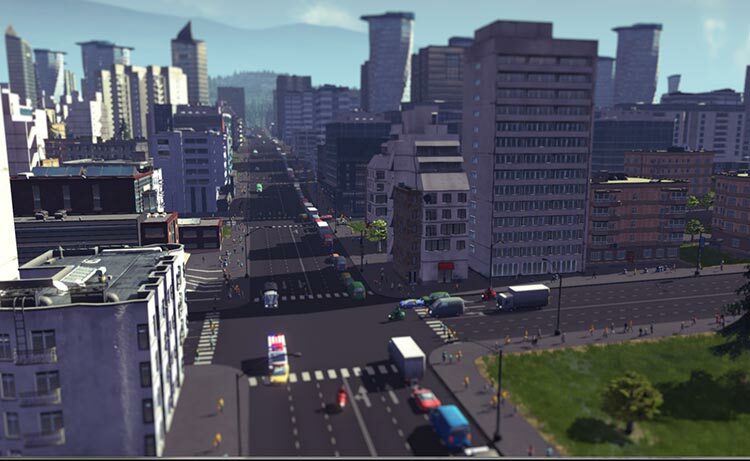 All this including the ability to mod the game to suit your play style makes this the definitive city building simulation. You’re only limited by your imagination, so take control and reach for the sky! 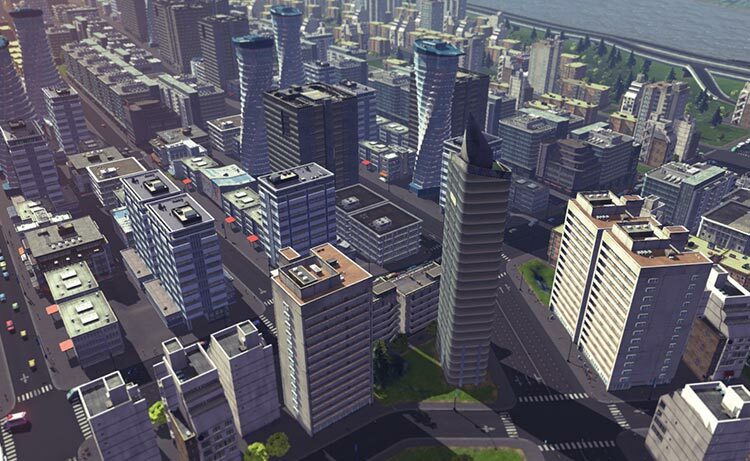 Cities Skyline is a welcome addition to the Xbox One, and consoles in general. It’s a competently made city building game, one that hasn’t been dumbed down for those that prefer a console to PC. It may take a while for the game to open up and kick into gear, but when it does, there is no limit to what you can build. City: Skylines is not by any means an easy game to get into. Those first few hours can be really tedious and the lack of a time acceleration option definitely hinders its pace. 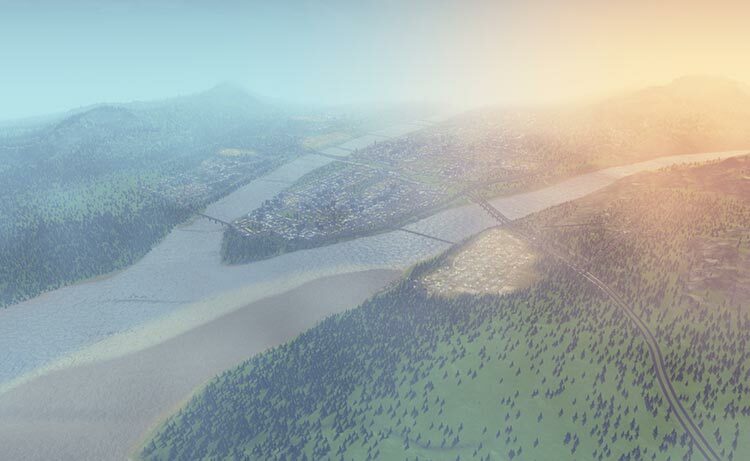 Yet, once you smash through the boredom barrier, you’ll find that Cities: Skylines offers nearly everything you could want from a city-building sim. Outside of the lack of the more recent PC expansions and the simulation speed options, Cities: Skylines - Xbox One Edition is every bit as good as its PC counterpart. The mayoral planning fantasy is still intact with this version, and now easier than ever to get into. Simply put, if you're an Xbox One owner who is a fan of city-building simulation games, you need to check out Cities: Skylines. Despite some technical issues brought about by Cities: Skylines’ transition to Xbox One, it remains an enthralling city builder, and one which has virtually no competition on console. 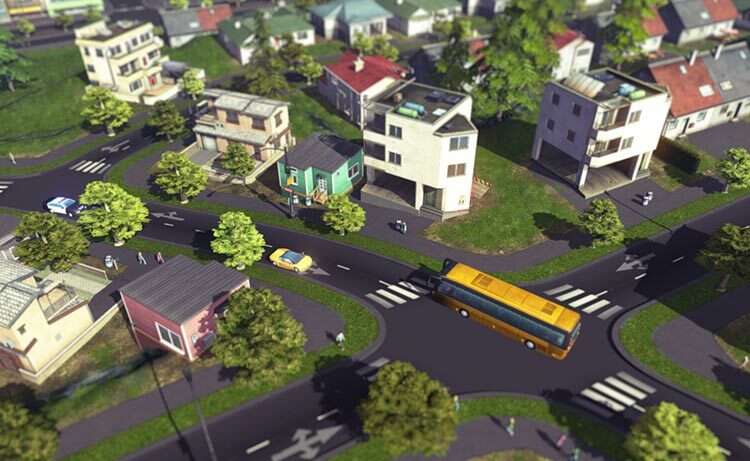 The most keenly felt loss is the ability to fast-forward through time, but for those who succumb to its more relaxed pace, Cities: Skylines is liable to remain the best home console city builder for some time. 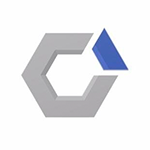 There are other minor problems held over from the PC version, such as the finicky transport options, and predictably the Xbox One version doesn’t have mod support either. Skylines is still perfectly playable on a console, and it’s impressive it works as well as it does, but as city experiences go this does feel a little parochial. Aún con sus defectos, Cities: Skyline Xbox One Edition es un digno representante del género y si bien no tiene los alcances que la versión de PC, sí mantiene la profundidad. Fácilmente puedes pasar horas frente al televisor corrigiendo pequeños detalles o construyendo grandes mejoras en tu ciudad. Es un juego que requiere de una gran paciencia e ir poco a poco, por lo que puede no ser indicado para los jugadores más impacientes, pero sin duda amplifica la sensación de recompensa y satisfacción para aquellos que quieran descubrir capa por capa toda la profundidad que ofrece. Bis auf kleine Defizite in den Bereichen Steuerung und Kulisse ist Tantalus hier eine richtig gute Konsolen-Umsetzung des derzeitigen Städtebau-Primus gelungen. Und an Ersteres kann man sich schnell gewöhnen. Denn sobald man beginnt, Straßen zu verlegen und die Baugebiete gekennzeichnet hat, dreht der Motivationsstrudel beinahe so schnell und unbarmherzig wie am Rechner. Un massiccio simulatore di città che richiede tempo al giocatore e lo ripaga con sfida, longevità e soddisfazione. Il lavoro di trasposizione su Xbox One è abbastanza apprezzabile, sebbene il controllo tramite joypad non sia reso in modo ottimale. Peccato anche per l'assenza della traduzione in italiano. In ogni caso il gioco resta maestoso e validissimo anche a due anni dal debutto su PC e non dovrebbe mancare nella ludoteca di tutti coloro che apprezzano la fascia di sindaco virtuale. 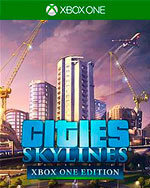 Valutando la versione PC avevamo detto che Cities: Skyline rappresenta il city builder che mancava da troppo tempo sulla scena, e la stessa considerazione può essere ribadita per questa versione Xbox One, con convinzione ancora maggiore visto che l'assenza pressoché totale di esponenti di questo genere lo rende un titolo importante e necessario, al di là dei suoi meriti peculiari, per cui diventa facilmente il miglior city builder disponibile su console.